RJC Yacht Sales & Charter is pleased to announce the Sale of the 108' Westport, ATLANTIC! 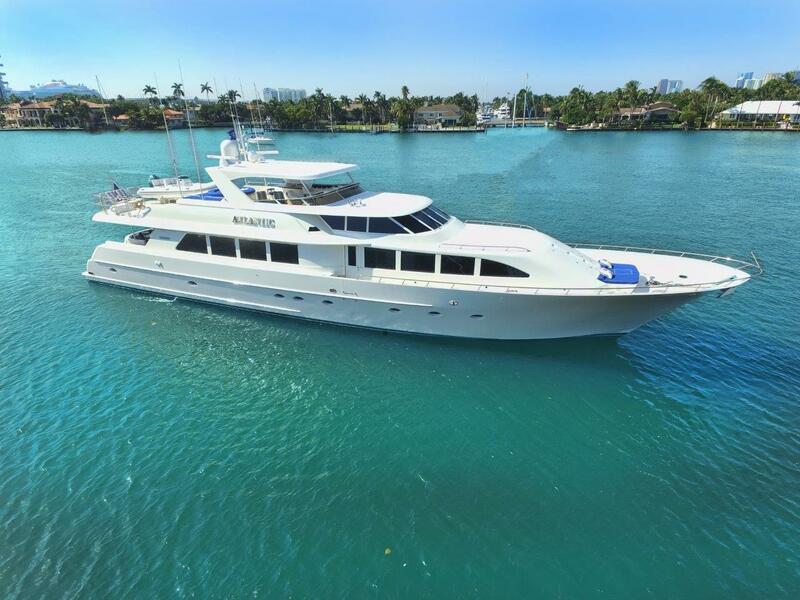 At the beginning of this year, ATLANTIC – the 108′ Westport Motoryacht , listed for sale by Bob Cury, sold. ATLANTIC was built in GRP by the US yard Westport, and designed by Jack Sarin. She was delivered in 1998 as a Westport 108 model, the forerunner of their current 112 series. Accommodations include eight guests in a master suite, two doubles and a twin cabin — all with entertainment centers and en-suite bathroom facilities. The main salon features an open-plan design with a formal dining area forward. Exterior guest spaces include a sun deck that hosts a bar, seating area and Jacuzzi. The aft deck is expansive and hosts open-air dining for eight guests with amenities including comfortable seating for eight, a bar, fridge and a flat-screen television. ATLANTIC underwent a major refit in 2015 including a complete paint job, new custom interior by Architectural Interiors, and upgraded Garmin electronics. Additional key features include Northern Lights generators, Naiad stabilizers, and a bow thruster. ATLANTIC is powered by twin MTU 1,525hp engines that can deliver a top speed of 21 knots and cruising speed of 18 knots. At 12 knots she has a maximum cruising range of 2,500 nautical miles. ATLANTIC closed within 60 days of having been listed for sale with an asking price of $2,795,000.